Personal contact with the teacher is not always possible, even if you are a student. Outside of classroom hours face-to-face consultations, the teacher has no time for a personal dialogue with students. However, many questions and issues can be discussed through correspondence on the Internet. This is especially true in cases where you learn by correspondence, are in another city or want to contact the teacherwith whom the unfamiliar person. files to attach to email. If you decide to write a letter to the teacher, use email only (learning pre-e-mail of a given person). 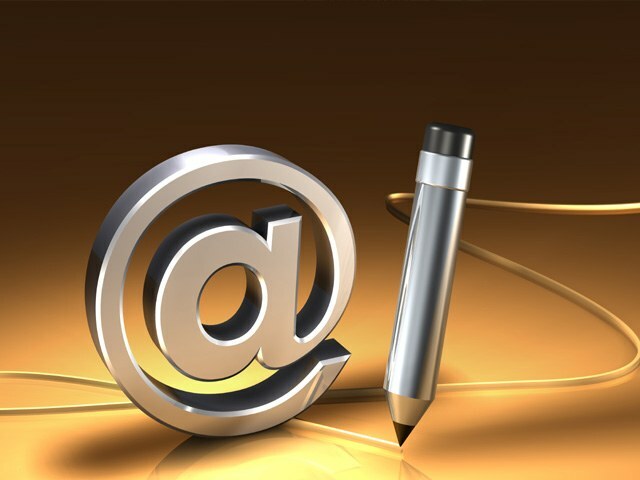 Unlike mobile phone numbers, e-mail address of a teacher is public information that is easy to find on the website of the University. Moreover, on the websites of some universities there is even the option "write a letter to the teacher, "that is, this process of legalized and automated. Attempt to contact the teacher through the social network usually does not cause delight, this is possible only in exceptional cases. Be sure to label the subject line: "Exchange students A. Ivanova", "schedule consultation", "dissertation", "Expert interviews", etc. just don't send attached files without text in the body of the email – it's rude! The message should be small and begin with the salutation ("Dear Sergey Anatolyevich", "Good afternoon, Maria Yuryevna!"). Next, summarize your question and then complete the letter with a formal "sincerely" or the more informal "best wishes", and then below your signature (indicate your name, surname, group number, faculty and University). The style of writing depends largely on whether you already know the destination, how formal your relationship and how often you correspond. If you turn to a stranger – strictly adhere to all the requirements of business style. If you write the teacher's diploma and regularly communicate via e-mail, the text of the letter can be more informal (you can even afford a pair of emoticons). However, the greeting and closing line must always be present (of course, if your letters do not represent a series of replicas to instant message each other). The possibility of electronic communication is good because it allows the teacher to answer at a convenient time without having to meet with you personally. However, there is a likelihood that the addressee will delay with the answer, and then forget about your message. This happens in periods of mass delivery of drafts of theses – certainly not only you attack e-mail this teacher. So, after waiting 3-4 days, you can politely remind himself under the pretext of checking, there came to him your letter and attachments. In turn, promptly respond to a received short response, greatly appreciated. In an email to the teacher does not use color coding, bold writing the words in capital letters and other "special effects". Write clearly and concisely separate thoughts and opinions can be separated from each other by a blank line that they are "not merged" into plain text.